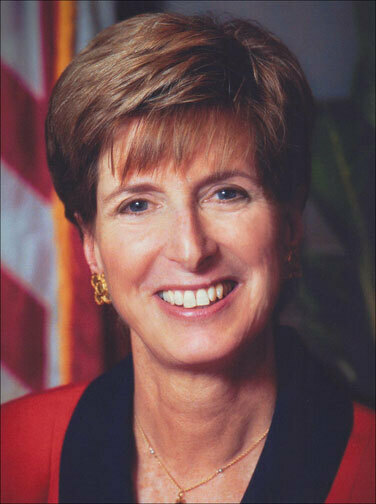 Listening to Your Inner Voice As a politician, bureaucrat and consultant, Christine Todd Whitman has had many people telling her what to do and what to think. But over the years, the former governor and former EPA chief has come to believe in trusting her own inner voice. 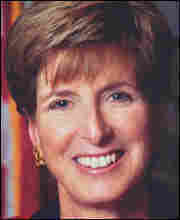 From 1994 to 2001, Christine Todd Whitman was the first female governor of New Jersey. She was later head of the U.S. Environmental Protection Agency from 2001 to 2003. Whitman now leads a consulting firm that focuses on energy and environmental issues. If I have learned nothing else during the course of my life, I've learned to listen to my inner voice. Everyone has one. We call it different things: our moral compass, a gut feeling, following our heart. Whatever we name it, we should always pay attention to it. It makes us who we are. Nine years ago I was in the second year of my second term as governor of New Jersey. I loved that job and I was working hard to make what would be my last term, due to term limits, as productive as my first. Toward the end of that term a U.S. Senate seat opened for New Jersey, and I quickly came under intense pressure to throw my hat into the ring. As soon as I said yes, I knew I should have said no. Deep down, I knew I didn't want to run for the Senate. I could do much more as my state's chief executive than I could do in Washington, where I would be just one-one-hundredth of one-half of one-third of the federal government. And the idea of appealing to special interests for the money I would have to raise didn't sit well with me. My inner voice was telling me loud and clear: "Don't do it." In the end, all it took was one trip to Washington, D.C., as a Senate candidate to know that I just couldn't see this through. So I dropped out of the race, returned the money that we had raised and went back to being governor. My aborted campaign wasn't one of my finer moments. But it reaffirmed my belief in following my inner voice. A far more personal moment came when my inner voice told me to do something and I didn't listen. It was the night before my brother's third heart surgery when I visited him in the hospital. After a walk down the hall and a light talk about our children, it was time to leave. As I saw him lying in his hospital bed I had an overwhelming urge to give him a hug and wish him luck. That kind of emotional display was out of character for us and I thought it might tell him I was worried, so I didn't do it. My brother didn't survive the surgery. As I look back I know that most of the mistakes I have made have come when I didn't listen to myself, when I didn't trust my instincts. There is so much coming at us every day that life can get very confusing. But, as I have always told my children, there is only one person with whom you go to bed with every night and get up with every morning, and that is you. Sometimes you stop paying attention to yourself. I believe you need to listen, carefully, to hear your inner voice. And then you have to do what it says. Independently produced for Tell Me More by Jay Allison and Dan Gediman, with John Gregory and Viki Merrick.